For successful summer holidays in the mountains, book your accommodation to Courchevel in Northern Alps massive, Savoie. This mountain resort will offer you exceptionnal areas and surprising landscapes. Your summer accommodation to Courchevel will be for you a moment of wellness in the heart of a beautiful nature and you will spend holidays in wide open spaces. Our moutain offers will make you live warm emotions with all your family. We propose you quality holidays accommodation in all French massives, in the heart of mountains. We have many residences to rent for your summer to Courchevel. Let yourself be carried by a feeling of happiness, enjoy the summer holidays in the mountains full of sun and discoveries ! The residence Roc is located in Courchevel 1850, just near the Bellecôte ski slopes, 200 m from the shops and resort center. This residence with lifts is composed of several fully equiped, with a good standing, next to the services. 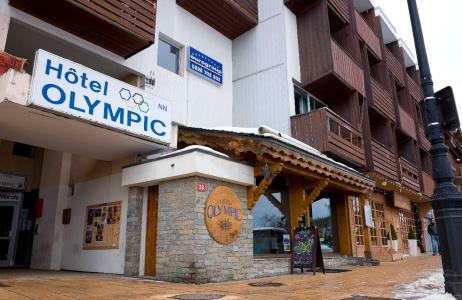 Olympic Hotel, is located in the heart of Courchevel 1850, at only 100 m from trades and is composed of 28 cosy bedrooms for 2 and 3 personns, all of them totally equipped of a bathroom, toilet, télevision an télephone. The Olympic Hotel, places at the disposal of its customers, a breakfast in the form of dresser as well as a bar, a lounge with a chimney and a mini-billiard. 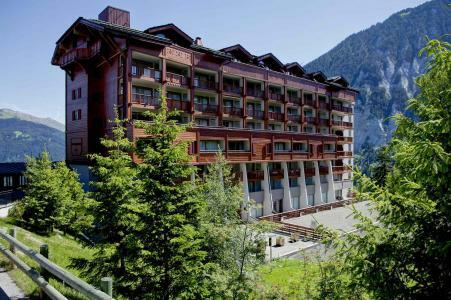 The residence Jardin Alpin, with elevator, is situated in Courchevel 1850, in the Jardin Alpin district, 2 km from the resort center, shops and restaurants. You will be at the heart of the forest and take advantage of the district quiet. Located in the heart of the resort, this Savoie-style residence is made up of 3 buildings, each with 3 floors. It offers luxury apartments with carved wooden furniture. The residence is in an ideal location, near to the Forum shopping arcade and the La Croisette District, where all the resort's entertainment and sports activities converge. 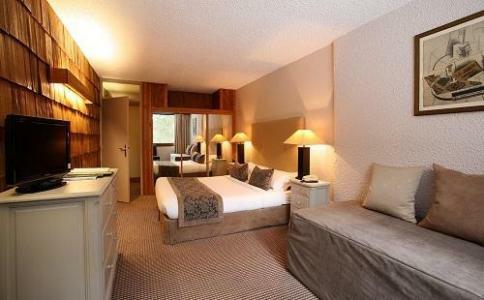 Located in the heart of Jardin Alpin, with an exceptional view over the valley and the village of Courchevel 1850, the Hotel New Solarium *** offers direct access to the pedestrian trail. Exceptional setting, quiet atmosphere, warm hospitality, perfect service and comfort: these are the requirements of the establishment. Combining charm and quality of service, its rooms, its restaurant and the Spa promise you the moments of escape and relaxation during your stays. Thanks to its traditional flats, the residence Grand Sud suggests you to spend authentic summer holidays in the mountain. 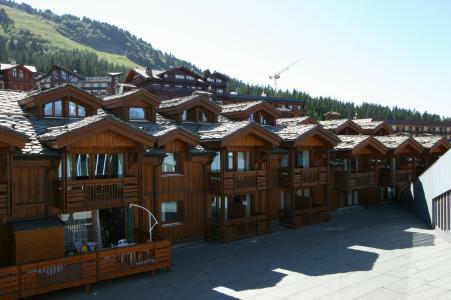 Moriond (Courchevel 1650) centre and shops are located only 300 m away from the residence. 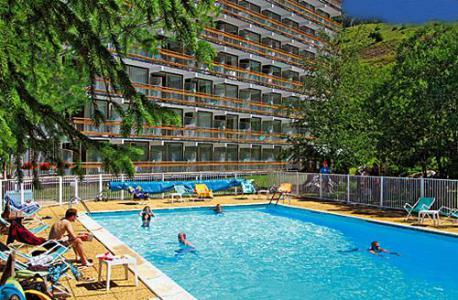 The Pierre & Vacances "Le Moriond" residence have a free outdoor heated swimming-pool in summer. The Courchevel 1650 resort centre, with all the shops and services, is located at about 250 m from the residence. 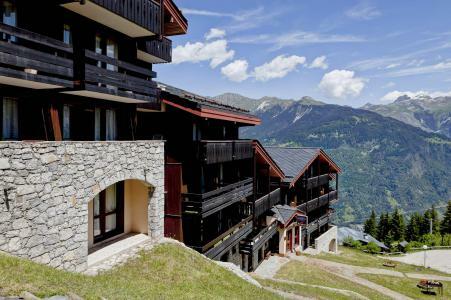 The Ariondaz is a pretty residence with lift, located in Courchevel 1650, also named Moriond. This residence is situated 300 m away from the heart of the resort and shops, offers you to spend marvellous summer holidays in the mountain with your family or your friends. The residence Rocheray benefits from an ideal location for you summer holidays in the mountain, with your family or your fiends. Indeed, it is located only 150 metres away from the resort centre and shops. The residence Les Brigues is located in the quiet district of Brigues. It is situated near from hiking trails and around 1 kilometre away from the resort centre.